Today, we have released the first video of the Simax City Bus Simulator. Featuring a Mercedes Benz Citaro bus, it allows drivers to safely practice driving with such vehicles, with an extremely affordable cost compared to other professional training tools. Inaki Ayucar is Software Engineer with more than 14 years of professional experience in software development and project/team management. He started working as C++ developer for embedded hardware systems, graphics and communications in CEIT and Lander. Later, and after four years working as an .Net Analyst for the public administration (Tracasa), he founded Simax Virt S.L. (www.simaxvirt.com), a Simulation&Training Solutions company which developes cutting-edge simulation technology and that has been the exclusive supplier of corporations like Toyota Motor Europe and Bentley Motors. 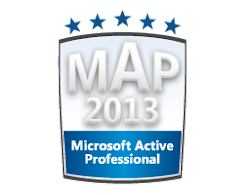 Between 2009 and 2013, Inaki has been continuously awarded as one of the 36 experts in DirectX technology worldwide, through the program Microsoft MVP (Most Valuable Professional). Right after that, he became a part of Microsoft Game Studios, moved to England and joined Rare as a Sr Tools&Pipeline Engineer. In 2014, he joined Electronic Arts as a Sr. Internationalization Engineer, helping to improve technologies like Frostbite and Ignite. Now as Associate Technical Director, he leads the Internationalization Team at EA Loc, working on most EA titles for all platforms. Página Facebook de Simax Virt, S.L.